How Far is Shivaganga Temple? Shivaganga Temple is placed in Bangalore. This project provides all features that a modern home buyer would wish to have. Shivaganga Temple is a part of the suburban area of Kumaraswamy Layout. Kumaraswamy Layout is connected to near by localities by wide roads. Residents of the locality have easy access to community facilities like schools, colleges, hospitals, recreational areas and parks. The facilities within the project are elegantly crafted. RCC framed structure with solid cement blocks for walls. Vetrified tiles for Living, Dining, Bedroom and Kitchen. Staircase and lobbies with granite flooring. Anti-skid tiles for flooring (8"x8"), glazed tiles dadoo upto 7' height. Geyser and exhaust points. Main doors of Teak wood frame with teak wood shutters. All other doors of sal wood frame with masonite skin shutters. Aluminum windows with MS safety grills. ESS-ESS Cold Et hot water mixer, Hindware fittings. Granite / steel Sink on granite platform, 2'height dadoo above platform. 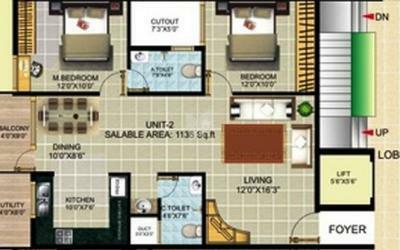 Point provision for drinking water purifier, refrigerator; cooking range and exhaust fans. Provision for 1 No. Ac point in Master bedroom, concealed wiring with switch plates. TV and Telephone Point in Living and master bedroom. Anchor Modular switches,3 phase connection. Plastic Emulsion for walls, Enamel paint for doors, ACE weatherproof paint for Exterior walls.